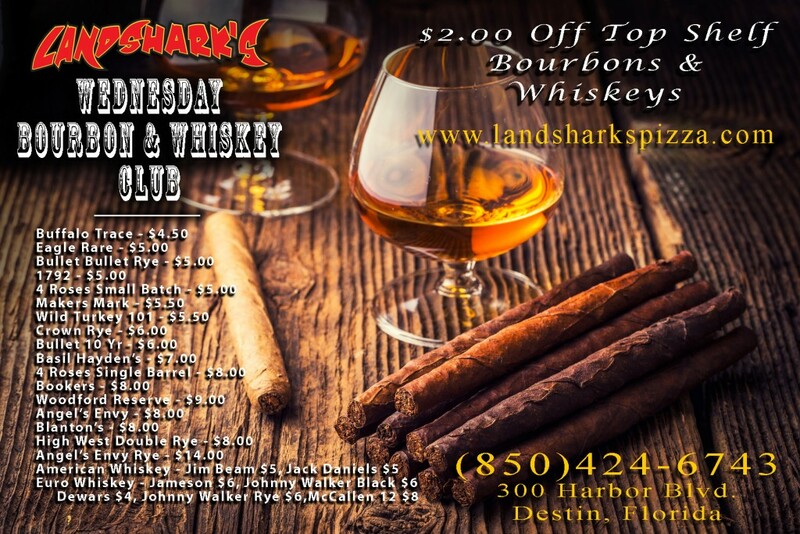 / Best Burger Deal in Destin FL / NBA & NHL Stanley cup Playoffs & $6.99 Burger Basket CRAFT BEER TASTING@6PM! 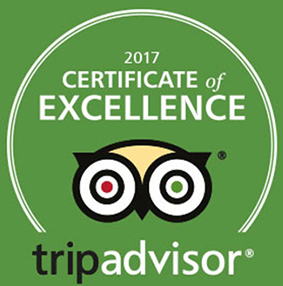 NBA & NHL Stanley cup Playoffs & $6.99 Burger Basket CRAFT BEER TASTING@6PM! Hope everyone had a great Mother’s Day. 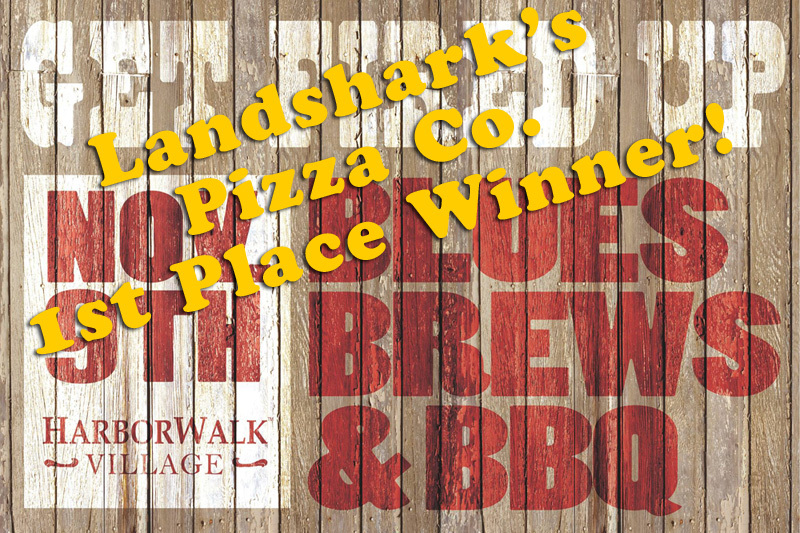 Now we’re starting off the week Landshark’s style with BURGER & CRAFT BEER MONDAY to lift your spirits! Dive in to a custom-built hot, juicy, cheesy, melty feast of a burger accompanied by succulent seasoned fries (’til 5PM, $6.99 dine-in with drink purchase)! 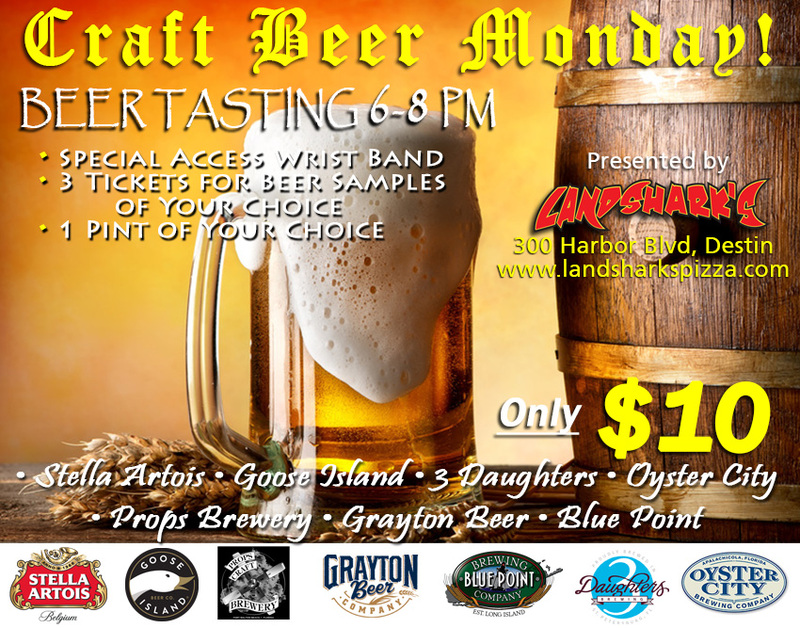 CRAFT BEER TASTING before that game starts at 6PM – Join in for ONLY $10 – Includes All-Access Wristband, 3 Tickets for sampling the Craft Beer Monday selections of your choice, 1 Full Pint of the Craft Beer of your choice! 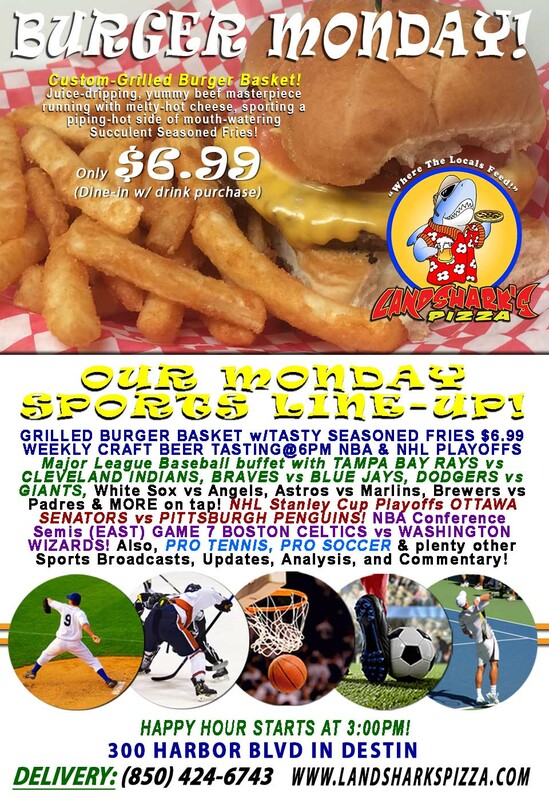 HOT SPORTS ON OUR ARMY OF BIG SCREENS – Major League Baseball buffet with TAMPA BAY RAYS vs CLEVELAND INDIANS, BRAVES vs BLUE JAYS, DODGERS vs GIANTS, White Sox vs Angels, Astros vs Marlins, Brewers vs Padres & MORE on tap! NHL Stanley Cup Playoffs OTTAWA SENATORS vs PITTSBURGH PENGUINS! NBA Conference Semifinal (EAST) GAME 7 BOSTON CELTICS vs WASHINGTON WIZARDS! 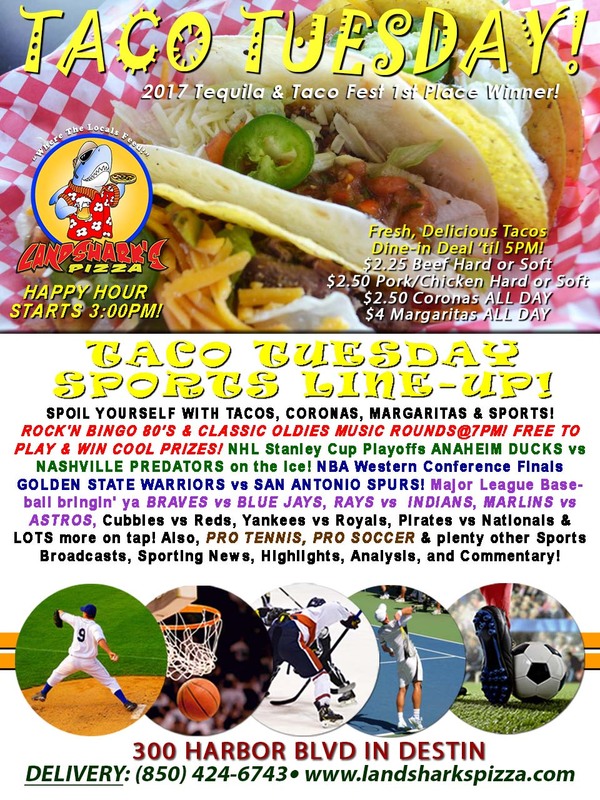 Also, PRO TENNIS, PRO SOCCER & plenty other Sports Broadcasts, Updates, Analysis, and Commentary! PGA Tour This Week: AT&T Byron Nelson@TPC Four Seasons, Texas. Pro Tennis This Week: ATP & WTA Internazionali BNL d’Italia. NASCAR This Week: (Friday May 19) Camping World Trucks NC LOTTERY 200@Charlotte Motor Speedway|(Saturday)ALL-STAR CHARLOTTE! 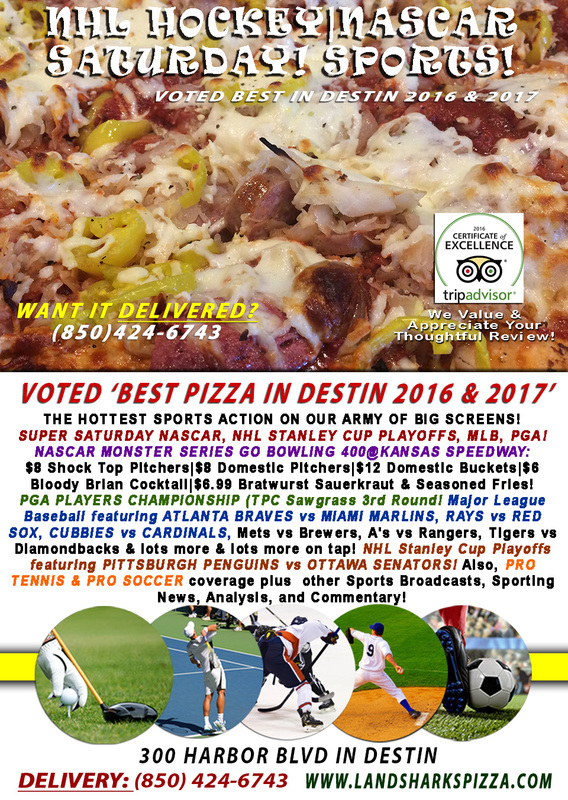 Previous Post: « Watch NASCAR GO BOWLING 400 & NHL Playoffs Voted BEST Pizza & Traditional BBQ in Destin|FULL BAR!